News reaching us in the early hours of today is that The Academic Staff Union of Nigerian Universities (ASUU) has suspended its indefinite strike after one month. The suspension was sequel to a meeting with the Federal Government`s delegation led by the Minister of Labour, Dr. Chris Ngige on Monday. 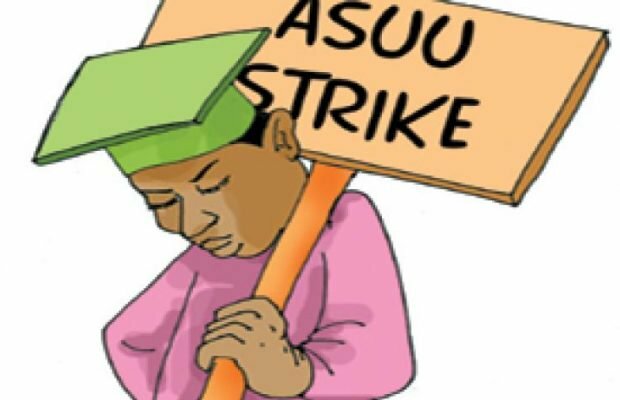 ASUU said the suspension would last until the end of October in order to enable the Federal Government to meet the union`s demands. The union directed university lecturers to resume duty from Sept.19. ASUU embarked on an indefinite strike on August 13, following Federal Government’s failure to implement the 2009 agreement with the union.